I've actually been doing this for years, but kept quiet about it. It's not like this is a non-profit organization (though it feels like it often). My goal is to provide income and make sure that more than a dozen artist families have food on their tables. Of course, this business also puts food on my family's table as well as paying employees in China and the USA. When there is money left over, it's given to various charities. Donated 10% of every order to Japan Relief for the month after the Tsunami. Those donations were matched by The Pearson Foundation. So a $100 order meant $20 heading to Japan for the relief effort. A total of $922.66 was raised for Japan relief from this effort. A record of our donations can be found here. It's a drop in the bucket, but many drops fill the ocean. If you've been to any CAF fundraisers in southern California in the past few years, you've probably seen Gary serving as the master of ceremonies holding a microphone and prodding people to increase their bids in the auction. Gary always reinvests his MC fee into the CAF. Oriental Outpost also donates at least $400 worth of artwork for the silent auction at each event. The CAF provides assistance and equipment for athletes who have been incapacitated in some way. Whether by spinal injury or amputation, the CAF provides adapted sporting equipment to these spirited athletes. Gary sends a check twice-a-year, and not just for the free tee-shirt. 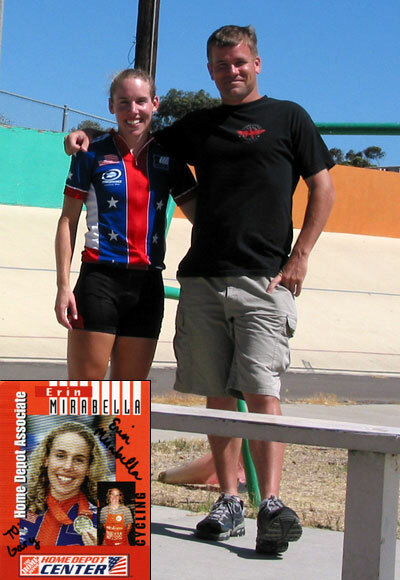 In 2004 when the U.S. Olympic Team was terribly under funded, Gary helped to train Erin Mirabella prior to the Olympic Games in Athens Greece. Gary declined any payment from Erin (who, to her credit, did try to pay for the training out of her own pocket). Gary was a bicycle racer for a few years. 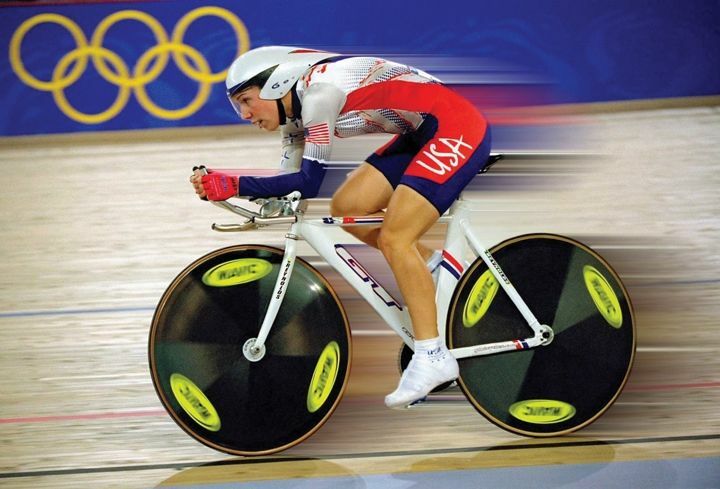 He missed the qualifications for the U.S. Cycling Team in 1989 for the Pan-American Games due getting run over on his bicycle by a careless driver. It took 6 months of physical therapy to recover and get back to walking normally. In the year 2000, Gary was nearly-killed in a roll-over accident in a USMC armored vehicle (LAV-25). Gary spent months of physical therapy sessions in a Naval hospital learning to walk again. Upon recovery, Gary hiked the Andes Mountains of Peru to Machu Picchu - just to prove something to himself or maybe just because it was there, and to celebrate being alive. When you have struggles and challenges in your own life, you appreciate the struggles and challenges of others. Thus the reason for support of these sports charities. 2004 South Asian Tsunami which killed 300,000 and displaced millions. The 2005 Hurricane Katrina disaster. The 2008 Sichuan, China Earthquake. For the Tsunami, 10% of gross sales was donated for several months. Some of that money went to Lutheran Relief as well as the Red Cross. For the Sichuan Earthquake, we held a fundraiser of selling some artwork by Sichuan artists, with 100% of sales going to the Red Cross. We also matched any cash donations made by our customers for earthquake relief. Oriental Outpost purchases and donates corrugated cardboard boxes for shipment of very special care packages to U.S. military service members wounded in Iraq or Afghanistan. Donation of several hundred dollars worth of artwork for auction at the 19th Annual Awards Dinner, 2009. For several years, Oriental Outpost has sponsored and helped to produce an annual Asian Art event in San Diego. This event gives great public exposure to many local Asian artists for little or no fee. In 2008 we spent over $2500 on rent, insurance, searchlights, marketing and production for the event. No money was collected from any of the local artists that participated. 2006 and 2007 Asian Art Show Highlights | 2008 Show Highlights. Unfortunately, I am not in a good financial position to produce more shows after the financial meltdown in the USA. Gary is a long-time member of KPBS (The local Public Broadcasting Service TV and radio station in San Diego). Unbiased news from NPR and BBC World are important, as well as the educational programs that Gary's young children enjoy. Random donations to Habitat for Humanity, Green Peace, and Doctors Without Borders have also been made. Over the years, some money has been funneled into unauthorized or underground charities (orphanages) in China. We cannot discuss this further, nor provide financial records for these cash donations. Receipts and other records from most of the above are available upon request.